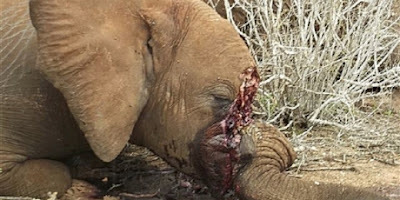 Yahoo is making a killing selling ivory which companies like Google refuse to touch. But right now the company is under pressure to keep employees happy -- let’s make sure every last one of them knows Yahoo’s bloody secret. >> Click here to sign and share this across the web now. 100 elephants are being massacred a day, and their emotional intelligence means they understand the horror of what is happening to them. Let’s raise a million voices to protect these majestic creatures -- Avaaz will run an advertising blitz and target Yahoo employees worldwide to demand change from the inside. 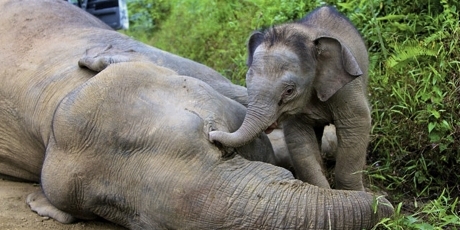 With experts warning that elephants could be extinct in the wild in just one or two decades, there is no time to delay. If we raise the alarm about Yahoo’s involvement in the slaughter with employees and the media, CEO Mayer will be under pressure to follow other responsible companies and ban ivory from the site. >> Act now and share this story so the whole world knows.